Kraemer reconstructed Kellogg Boulevard from Market Street to Wabasha Street in downtown St. Paul, MN. 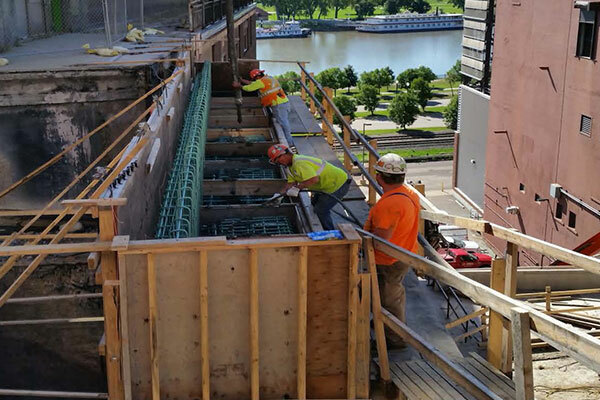 The project included reconstructing two bridges that supported the street along the Mississippi River Bluffs. This presented unique construction challenges, as work had to be completed on the side of the hill with no land beneath.